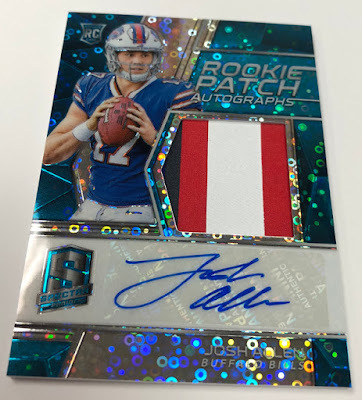 Panini America’s Optichrome technology and in-demand cards of the season’s most sought after rookies arrives Wednesday and promises to be one of the most “spectracular” of the season. On Wednesday, Panini America's 2018 Spectra Football arrives at Sports Cards Plus, a.k.a. 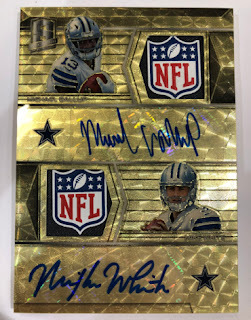 The Super Hit Factory boasting a striking arsenal of new parallels (including the must-see Neon Marble numbered to four or less), the return of the gorgeous Nebula parallel and at least one Rookie Patch Autograph per hobby box. 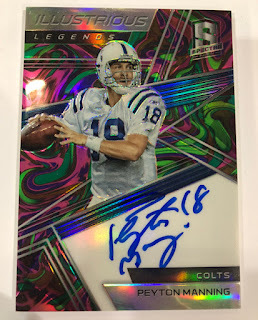 On average, each hobby box of 2018 Spectra Football (four cards per pack, four packs per box, eight boxes per case) will deliver four autographs, seven memorabilia cards and three Prizm parallels. In addition, one box per case, on average, will be a “Reverse Box” delivering seven autographs and four memorabilia cards. 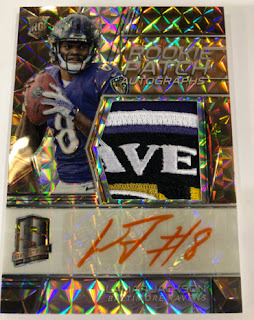 One box per case, on average, will deliver one Rookie Dual Patch Autograph numbered to 25 or less. 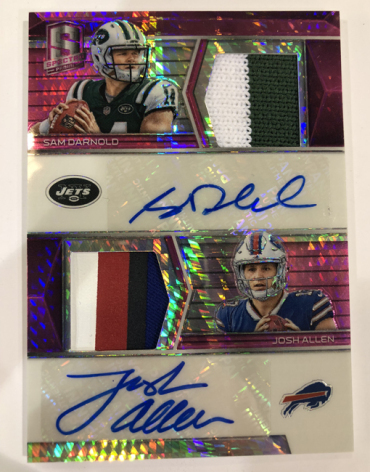 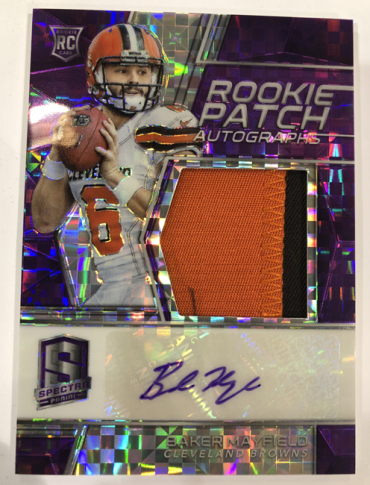 In addition to the aforementioned — and stunning — Neon Marble chase, another new parallel, Neon Purple numbered to 50 or less, will be found only in the RPA, Aspiring Patch Autographs, Radiant Rookie Patch Autographs and Rookie Dual Patch Autographs inserts. 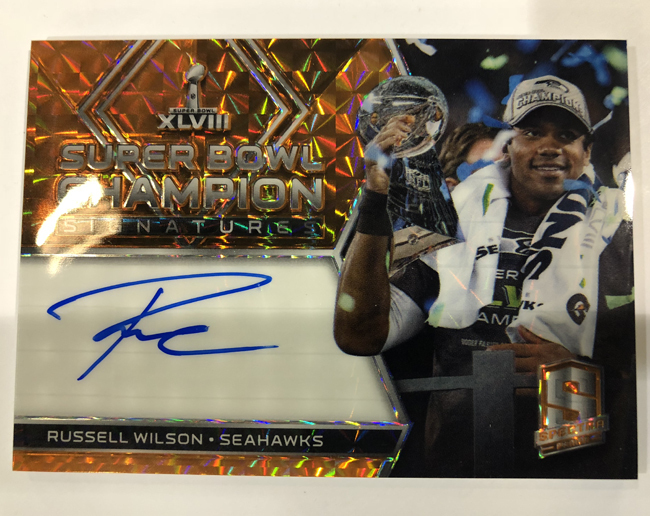 Collectors will also notice a more vibrant ink color on the various Neon autograph parallels and the bold introduction of Super Bowl Champion Signatures, the only insert all year that will feature previous Super Bowl winners with the iconic Lombardi Trophy.